A career in distributor sales can be a rewarding path that allows you to learn the business of the beverage industry and form relationships with many different people and firms. But what does the job actually entail? And how do you land such a role? A major supplier produces their brand of Blended Scotch Whisky, in Scotland. The supplier does marketing for the brand, creating consumer awareness around the world. The supplier ships their whisky to all these markets. In many of those markets, there exist distributors who specialise in logistics and sales in their specific region. They receive the Blended Scotch Whisky from the supplier and warehouse it in their territory. They employ sales and marketing teams to work with many retailers and bars and restaurants, fulfilling their orders for products. Liquor stores, bars, and restaurants order the Blended Scotch Whisky, which they in turn sell to consumers. There are many different varieties of this “three-tier system” around the world, based on the laws of the market. But where it exists, the distributor tier provides a significant benefit to suppliers large and small. Their expertise in their region is invaluable as they have existing relationships with individual retailers, and they generally have their own logistics in place for fulfilling local orders. Most distributor sales representatives earn commission on their sales within a region or account universe. For many, this is the most exciting opportunity because it means working with many different retailers daily, consulting on their needs, and selling a wide variety of products. As a result, distributor sales reps must have a very broad knowledge of product categories, along with great salesmanship. Many distributors have specialists who are responsible for making products look great in stores. For example, a sales representative might sell 20 cases of a product to a store. A merchandiser would help the store receive the product and create an attractive display with the cases and signage. The merchandiser role is often a great entry into the business because it initially does not require strong product knowledge but does require creativity and attention to detail. There are many kinds of sales managers, not just the traditional kind who manage a team of sales representatives, and all distributors will have their own teams, usually in a combination of roles. Key account managers work with a specific list of usually high-end accounts, supporting the sales representative and doing specialised work usually requiring knowledge of fine wine and spirits. Portfolio managers work closely with one supplier and specialise in their specific portfolio that the distributor sells. Yet another type of manager might focus on nightclubs or national accounts. Even though most of the brand marketing is the responsibility of the supplier, distributors often have trade marketing managers who help to set pricing and strategy for products in the market. Product knowledge is important for these employees, but they especially need to be proficient at managing pricing, inventory, and other technical aspects of business. With increased consumer savviness, deeper knowledge of wine and spirits is an absolute must. 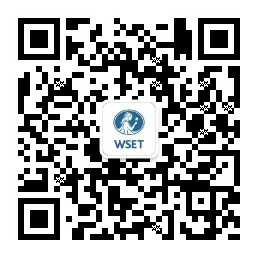 WSET provides the perfect backbone of that education. How do you start a career in distributor sales? There are many “first jobs” available, but your path is most likely to be influenced by your previous experience, and your level of knowledge. Before I came to be Director of Business Development - USA for WSET, I worked for a distributor for seven years. I had spent several years working in restaurants, with my last position in hospitality being general manager of a restaurant. While there, I utilised my network to learn of a position for a spirits specialist manager with the top distributor in my state. Trish Lorimer’s path began in a similar place, the on-premises trade of bars and restaurants, where her interest was sparked leading to a WSET course. “This was my way in to my first junior industry role with an agency/distributor. I learnt a lot commercially and from exposure to multiple retail accounts which gave me the skills to move to a trainee wine buyer role with Morrisons. I was promoted to buyer in this role before being recruited by Coles Liquor and moving to Australia as a wine sourcing manager.” Every step along the way, Trish was building on skills and knowledge, which has culminated (so far!) in her current role as National Accounts Manager for Negociants UK, who specialise in Australian wines. More people than you might think get their start in distributor sales by driving a truck or working in the warehouse. It’s a good strategy to “get your foot in the door” and take advantage of the fact that many businesses like to promote from within. Many distributors offer educational opportunities for interested individuals to give them options for advancing their career with the company. Distributor sales offers career opportunities all over the world as markets emerge, develop, and as the number of producers and products coming to market continues to increase. Building your knowledge and network through WSET qualifications and understanding the structure of distributor sales in your market is crucial to breaking in. Article prepared by Dave Rudman, WSET Director of Business Development - USA.